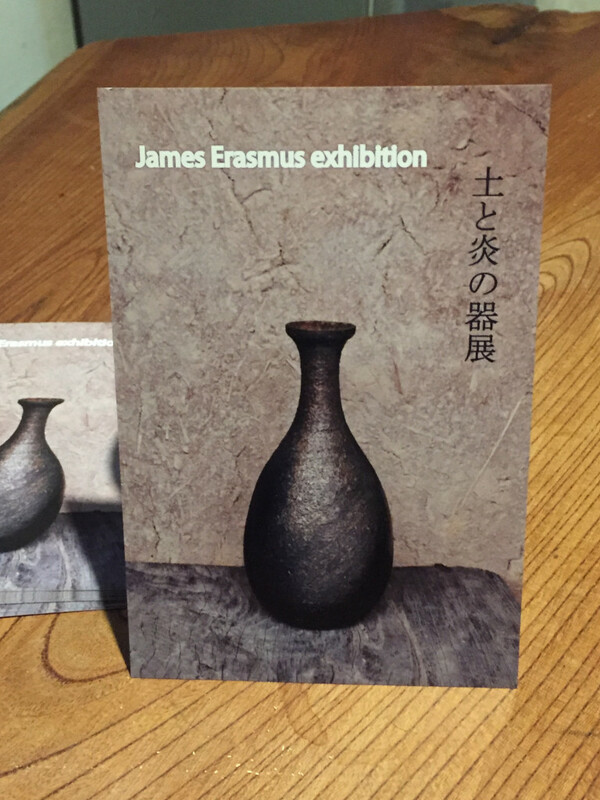 My exhibition at Takashimaya in Kyoto is on now. Mostly new work from my kiln firing just now. November 1st to 7th – 6th floor . 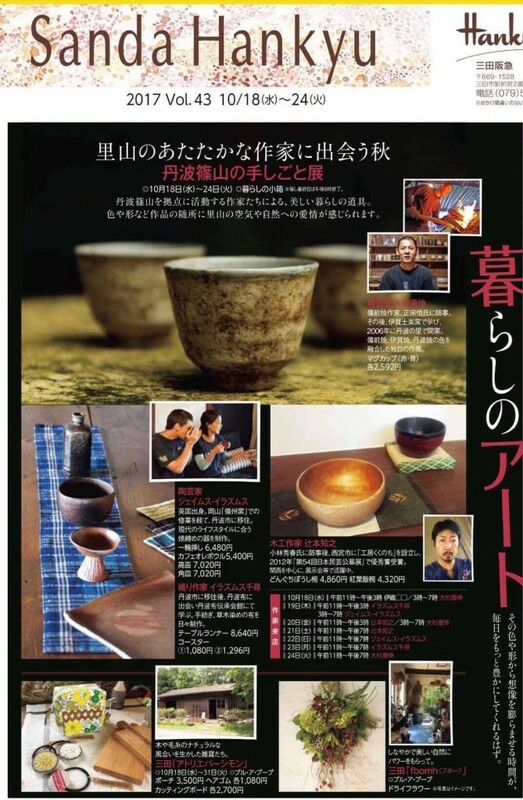 Anyone in Kyoto or around please drop by! On the shinkansen back from the day in Tokyo. 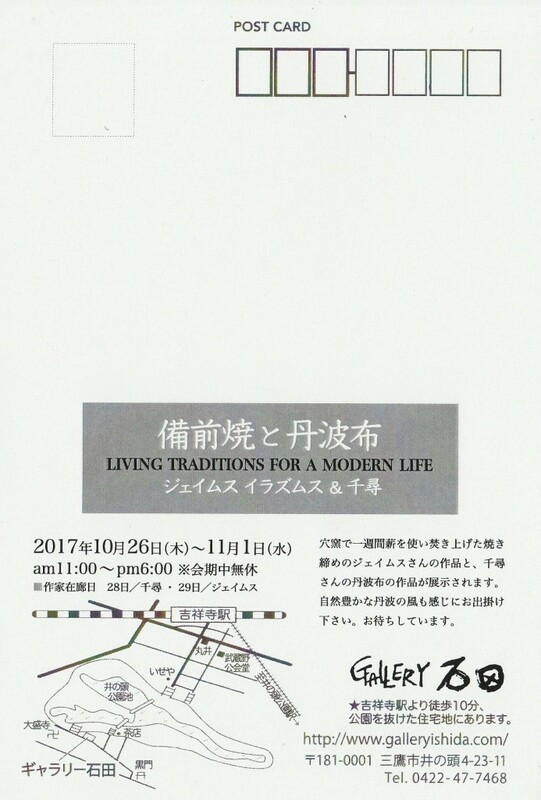 Off to Tokyo this weekend – our second exhibition at Gallery Ishida starts tomorrow. Near Inogashira Park, reportedly the most desirable place to live in Japan! Chihiro will be up on the 28th and I will be there on the 29th. For my part it is almost all new work from my recent firing – Ishida San did a wonderful job of displaying everthing in her homely gallery last time so I’m really looking forward to seeing how it looks this time round. 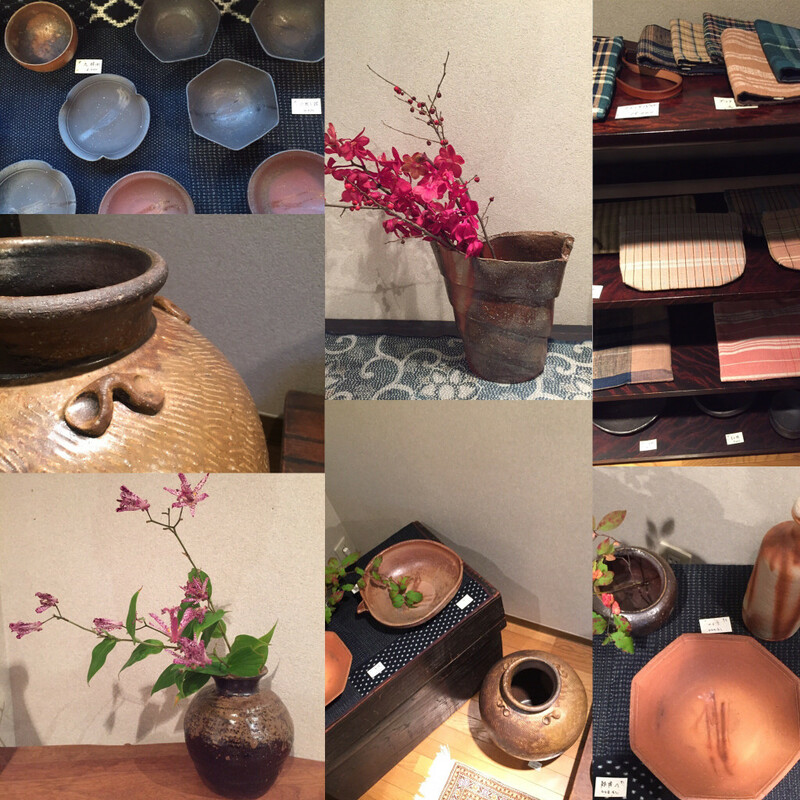 A few photos of our group exhibition on now at Sanda Hankyu. 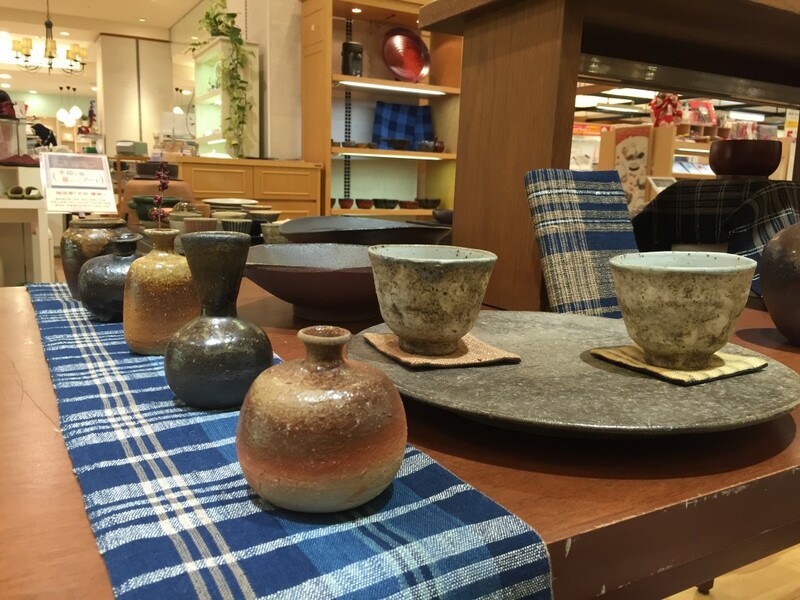 Four person exhibition starts at Sanda Hankyu dept store tomorrow. 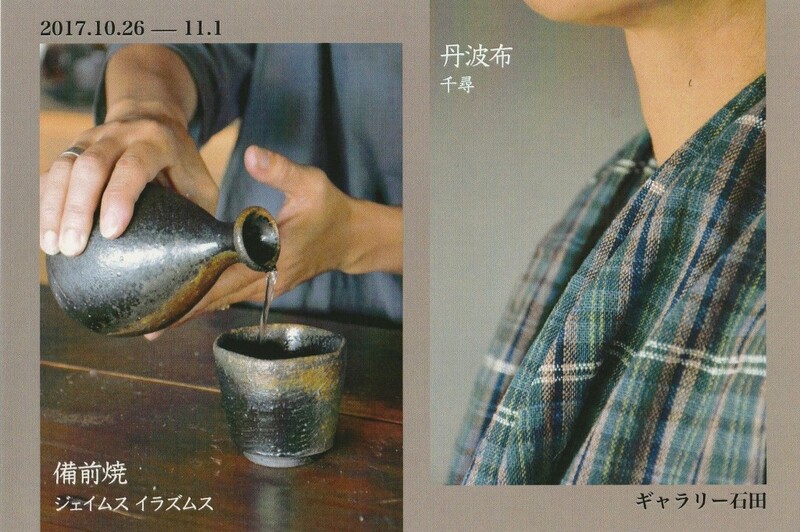 Ceramics, wood and textiles. This is the third time we have done this event, with a slight change of makers this time. Runs from October 18-24 All Welcome! Started to unload the kiln this morning, still got a way to go but it seems to have gone ok, temperature looks pretty good and a good range of colours. A few silly mistakes during the loading lost me a few plates, but at least I know what I did wrong! 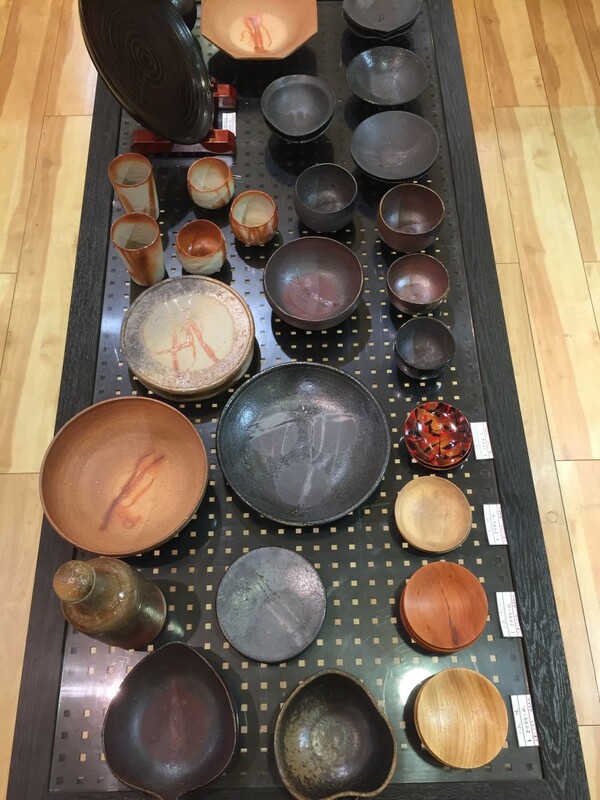 Started cleaning up pots today for exhibitions to come, starting with a group exhibition at Sanda Hankyu dept store which starts…tomorrow! Chihiro took the pots down tonight, only 5 minutes late in the end! 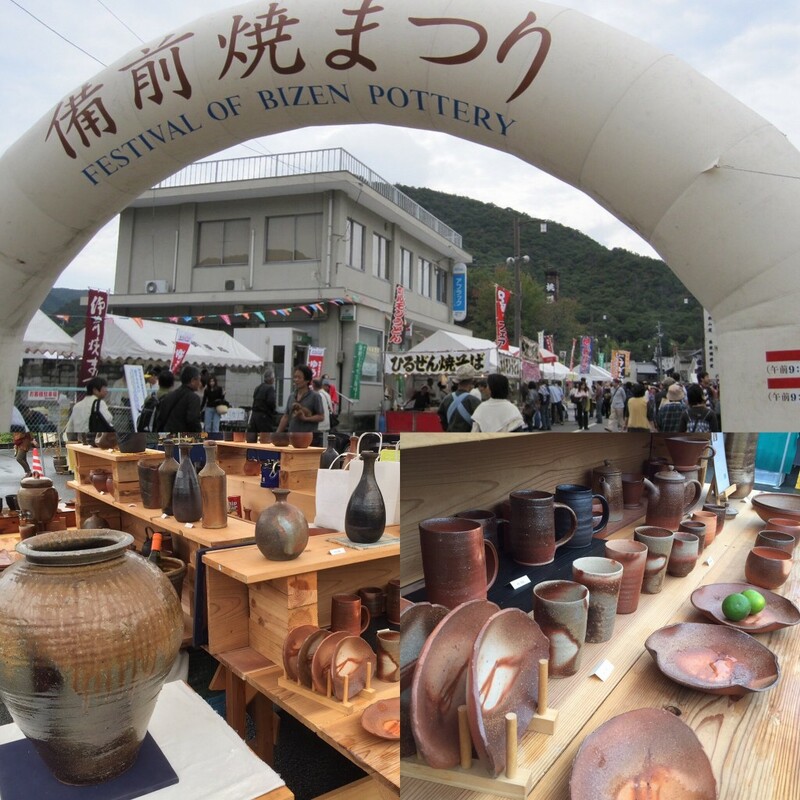 Back from this years Bizen Pottery Festival. 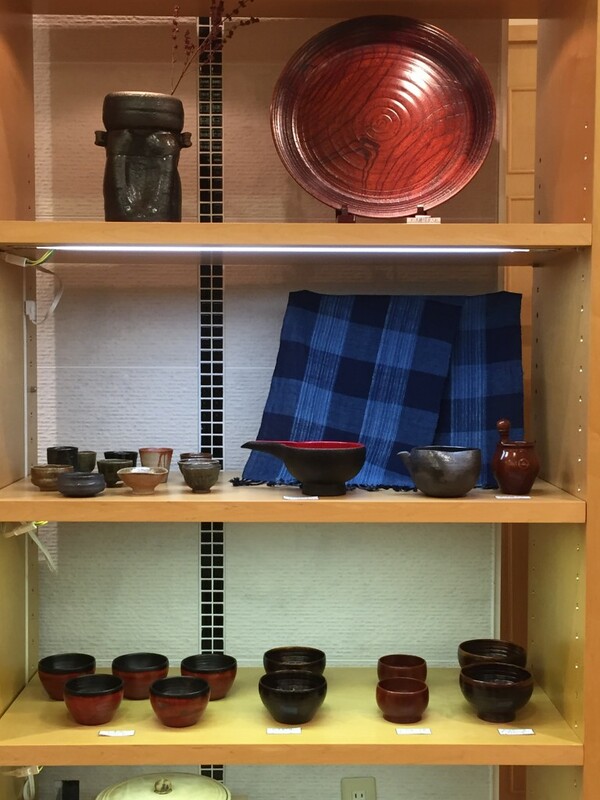 I finished firing Thursday evening and packed up everything Friday morning to head off to Bizen, so cutting it a bit fine! It’s often blisteringly hot during the festival but this year the rain got to us. Not as bad as I thought it was going to be, but still a bit of a wet week-end. Sales weren’t bad though and so a big thank you to all who braved the weather and made it down to my stall! First event of the autumn firing the kiln. Firing number 18. I always feel like this is the start of my working year for some reason. 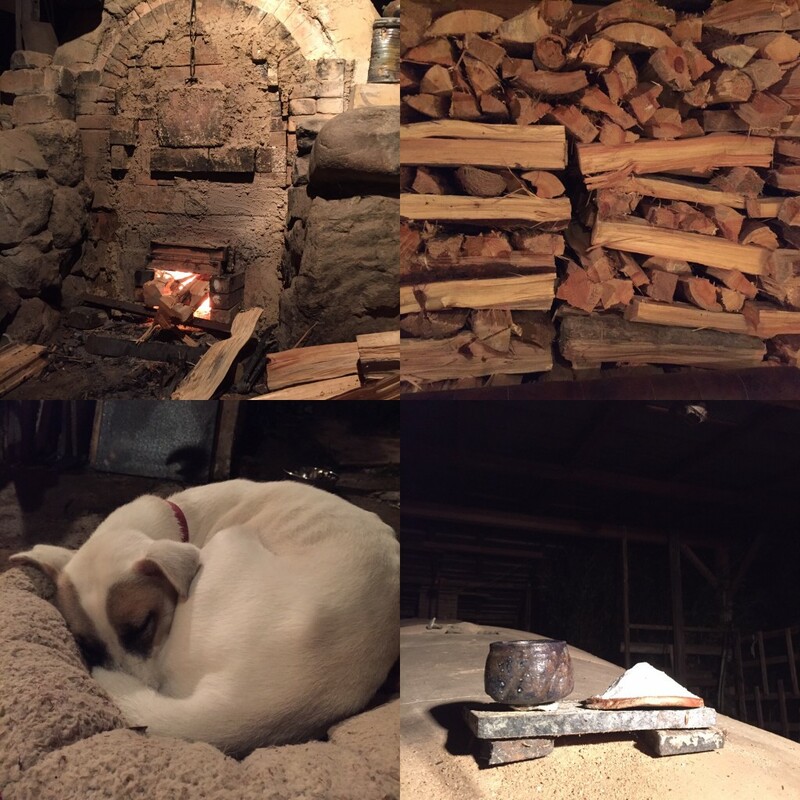 Aided by my not so trusty mutt mango, still a few more all-nighters to go. 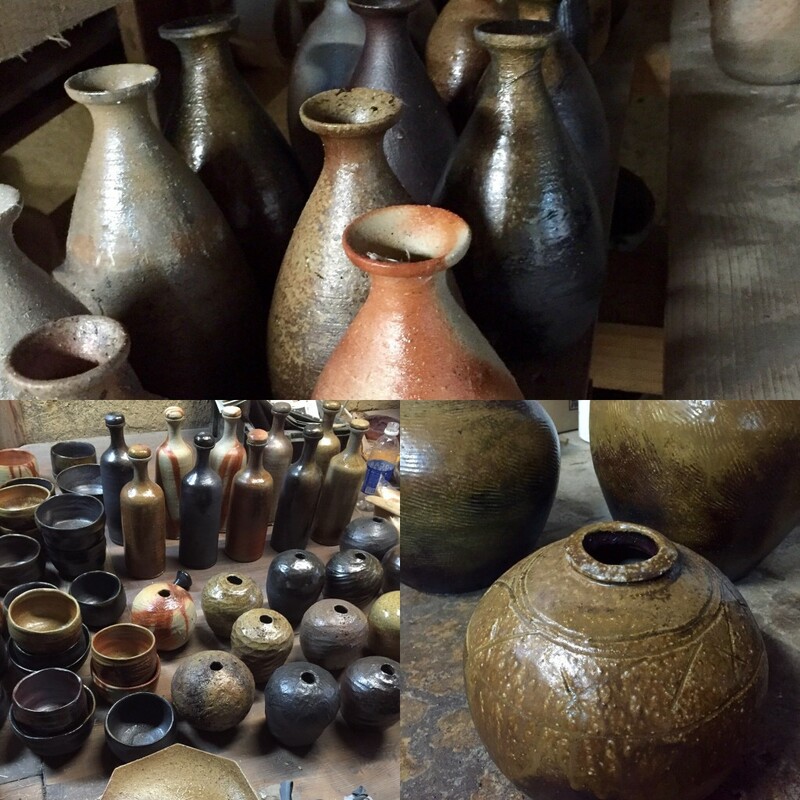 Hopefully finish on time before heading off for the yearly Bizen pottery festival this weekend! 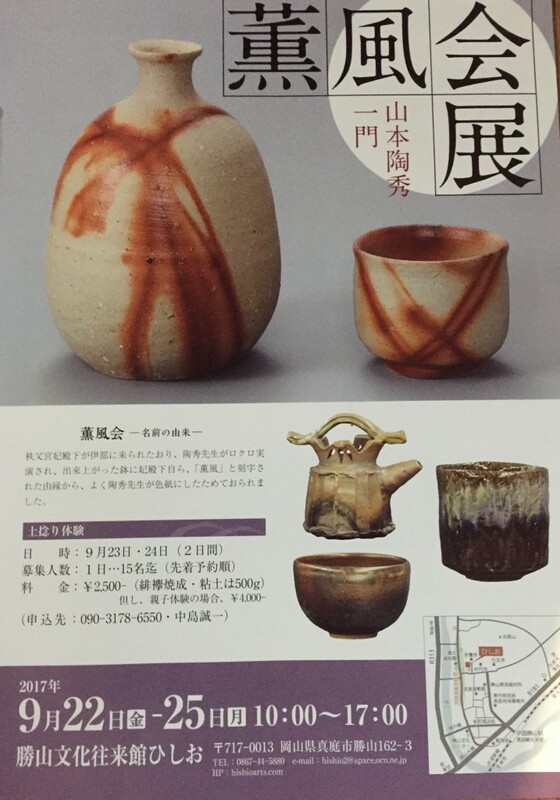 Our Kunpukai group show is on now in Okayama. 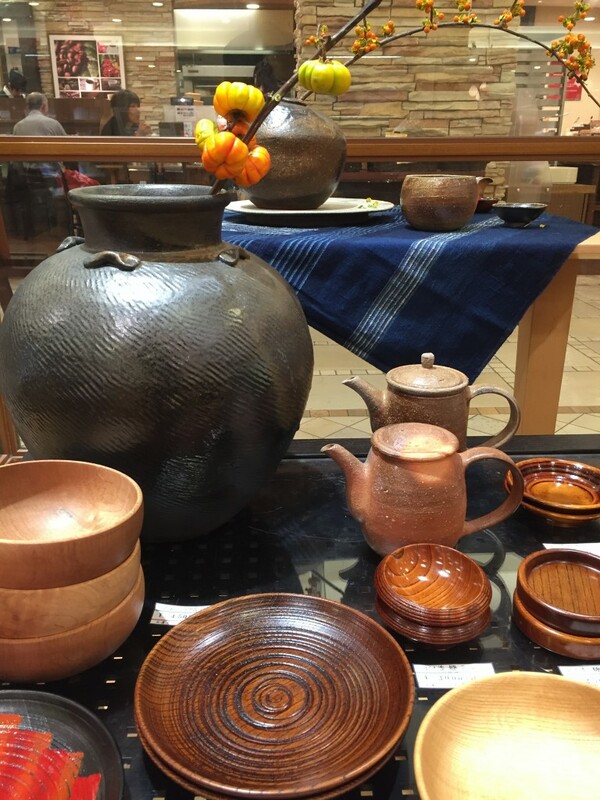 Kunpukai is the group established by Living national treasure Yamamoto Toshu for potters who studied under him and his son Yamamoto Yuichi. We meet up a couple of times a year and hold occasional group exhibitions. 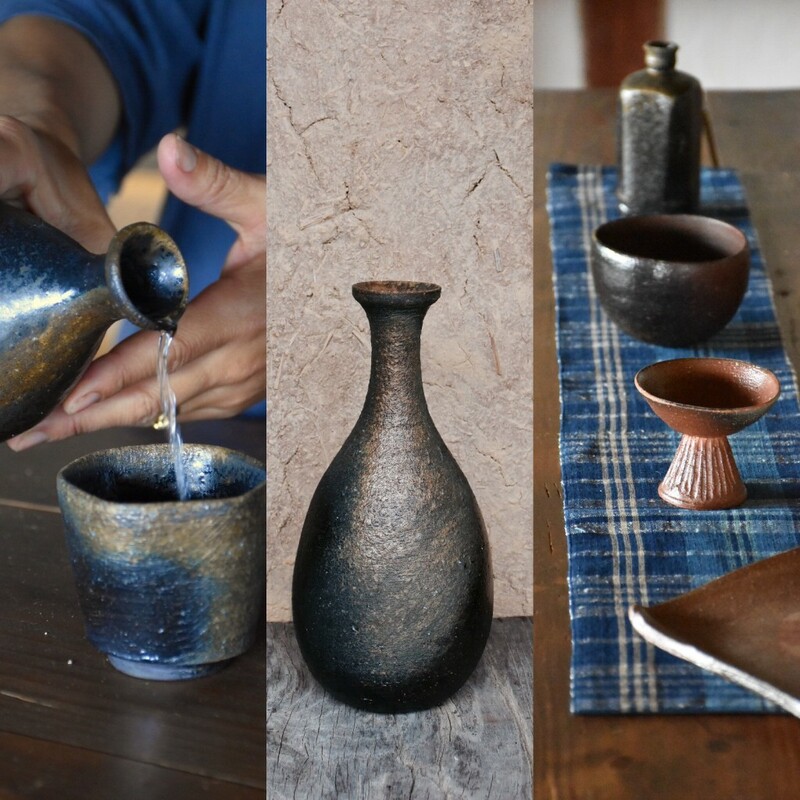 Most of the potters are based around Bizen, though some, including myself, are from further afield!